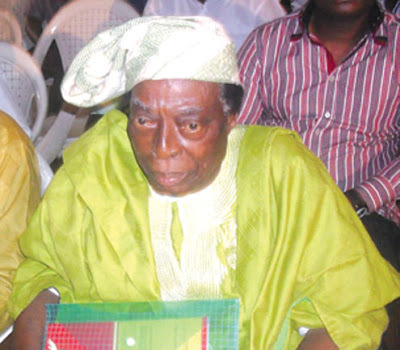 Actor, author and broadcaster, Adebayo Faleti, dies at 86. He was born on December 26, 1930, the renowned thespian reportedly died in the early hours of Saturday while taking his bath in his Ibadan home. The late Faleti was a pioneer at the first television station in Africa, the Western Nigeria Television (WNTV) in Ibadan, Oyo State capital. He was a poet and Yoruba translator. NG), Chief Ernest Shonekan, from English to Yoruba. One of his sons, Adeniyi, said his father observed his morning devotion with his family.The renowned actor reportedly told his family that he had prayed to God to send someone else to continue his mission on earth because he was tired and longing for home. Adeniyi said: “After the morning devotion, I helped him to the bathroom, as I normally did. He said he wanted God to send someone else to complete his assignment because he had done all he could do. He also said he wanted to go home. Another son of the deceased, Gbemi, said their father led a good life, adding that the family would remain grateful to God for granting him a good life. He said: “He reached the peak of his career in life. As an actor, he was celebrated; as an administrator, he headed the Broadcasting Corporation of Oyo State (BCOS) and the Oyo State office of Mass Mobilisation for Self-Reliance, Social Justice, and Economic Recovery (MAMSER). He fitted into every good role a father and a friend could play. He was caring and loved by all. Faleti’s first son, Ayoola, said he spoke with his father three days ago and that he was on his way home when he was told that his father had passed on. He said: “In his usual attitude, he called me three days ago and we discussed like father and son. One of the deceased’s wives, Moteniola, said she married him in the 1950s. She said he was a loving husband who was always concerned about the welfare of the family.